I love the detail on the armor plating, especially on the front of the tank. Great job. 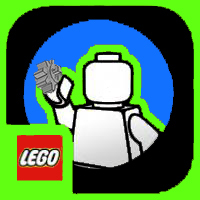 Lego Element ID - What's the logic? In most cases same pieces have the same first 2 design numbers. In fact, these two numbers might be related to the piece type. Just a tip for the future: If you link the URL of each image on Brickshelf directly, you will not need to wait for the files to be open to the public. Click the 'Image' button and you can paste the URL to get the image in your post instantly. Painting Technic Parts in ... black? http://www.krylon.com/products/fusion-for-plastic/ This is a paint that leaves a 'layer' on your pieces, but it bonds well to plastic and is chip resistant once dry. From what everyone is saying on this, you'd think TLG is purposely trying to mislead us with these snapshots. (I'm not saying they aren't ) I've found a ball joint on this, another sign of possible steering. It's right where you'd think a ball joint would be on this One of those knobs in the middle might actually be used for the steering, like previously suggested, because there should only be 3 knobs for the crane One is on the crane (black 12t bevel gear) One is on the base of the crane (tan 20t bevel gear) One is the black 12t bevel gear on top of the black 2L axle extension This leaves one remaining knob (black 2L axle extension), doesn't it?